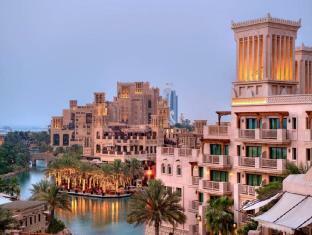 Love it or hate it, Dubai is a travel destination to be reckoned with. Its magnetic pull is almost palpable among globetrotters. Those who have been will attest to the mind-boggling craziness of the hyper-modern city, and those who have yet to visit will secretly hope for a convenient ‘stopover’ on their next visit to Southeast Asia, even when they openly swear they have no desire to see it. Such is the curiosity for this exotic ‘Vegas of the east’. 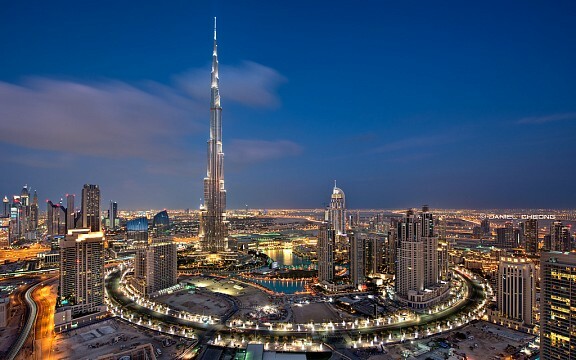 Dubai is indeed a crazy place, and the site of some of the world’s most incredible architectural and engineering feats. If you are remotely interested in seeing our planet’s biggest, largest, widest or tallest, then Dubai is where you need to go and see it. A phenomenal shopping, dining and sightseeing hub, Dubai is bound to leave you speechless many times over. 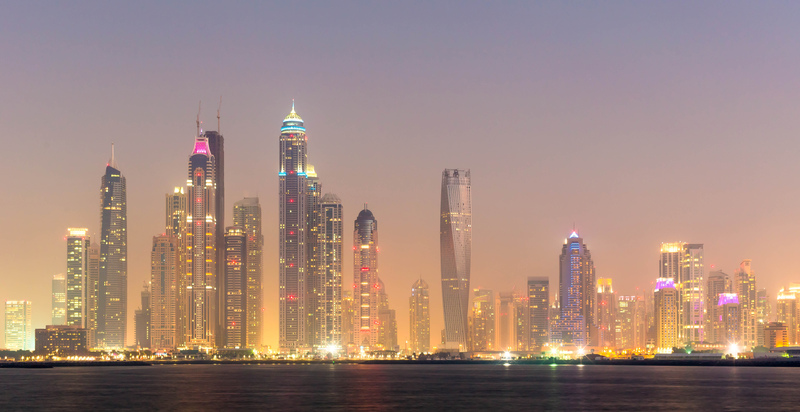 Dubai can be exorbitantly expensive and, while it may not be the ideal long, relaxing holiday destination, it’s certainly worth a few days’ exploration. Even if it’s just to see what the fuss is all about. 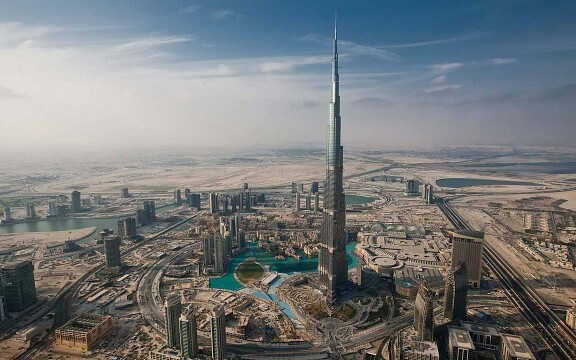 Modern-day Dubai boasts one of the shortest and fastest evolution histories in the world. The city, over the last three decades, has become almost unrecognizable, with merely a slither of its colorful past left still landing. It’s fair to say that the discovery of moderate oil reserves is the single most significant moment in Dubai’s history. 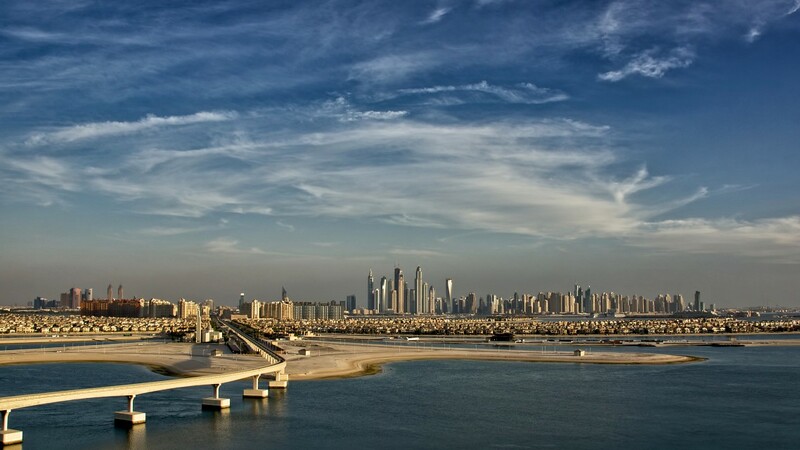 The exact origin of Dubai’s first settlers remains unknown, yet it is known that Dubai was an important trading hub from at least 1000 AD onwards. The port city was the world-leader in natural pear trading, yet the dawning of cultured pearl disintegrated the industry almost entirely. Trading continued in other goods however, and by the 1960 the first airport and hotel popped up. That was until oil reserves were discovered offshore in 1966. The Catch-22 situation with Dubai’s oil reserves is that while they are significant, they are not endless, or so experts believe. The modernization of Dubai, and the ruler’s insistence at making this the world’s number one travel destination, is an attempt to secure an income for when the oil runs out. Free trade and tourism is the aim of the city’s expansion. 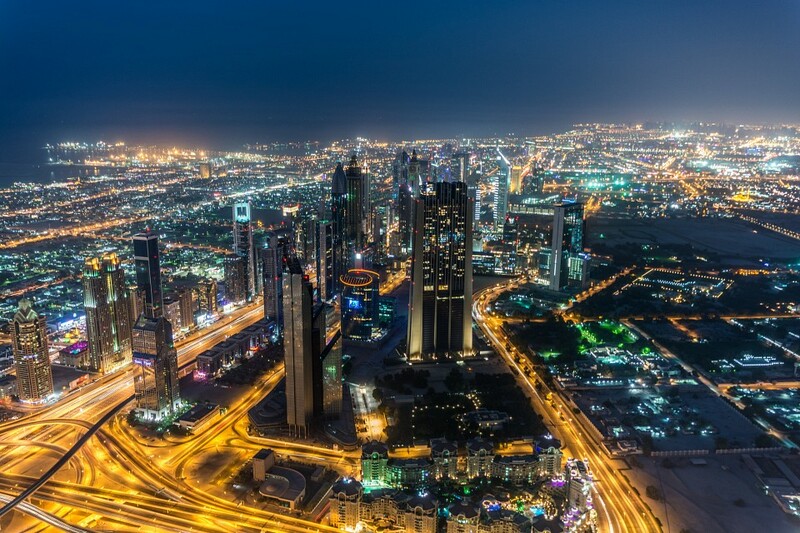 Experts estimate that Dubai’s oil reserves will run out within the next 20 years however, in all fairness, experts have been saying that for the last 40 years. With improvements in technology and engineering there’s no expert on the planet who can actually accurately predict anything about our planet’s oil reserves. The next big find, for Dubai, could be just around the corner. Dubai is actually quite the sprawling metropolis, yet unless you’re here for business there are only a few districts which will hold any interest for you. These are the most popular areas for visitors and where you’d be advised to search for accommodation. Downtown is where the most superlative attractions are, but we mean this in the most literal sense possible. 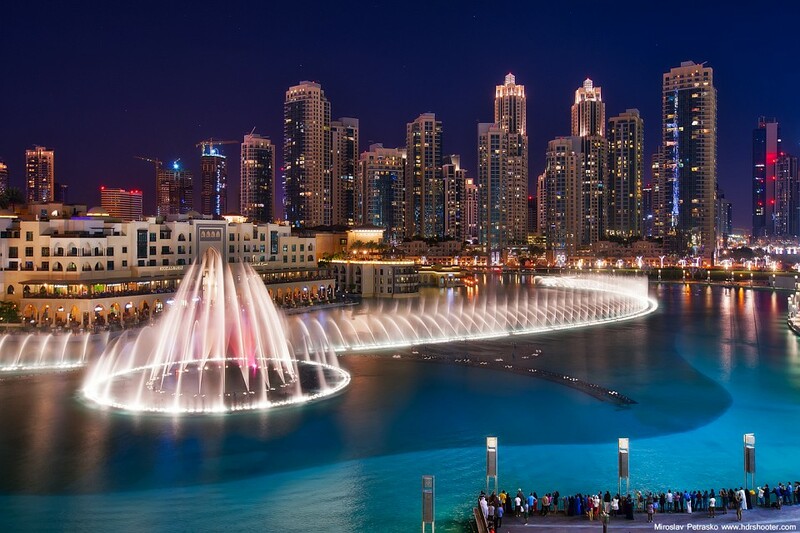 Here you’ll find the tallest building in the world (Burj Khalifa), largest shopping mall (Dubai Mall), and one of the most grandiose choreographed fountain systems (The Dubai Fountain). This downtown delineation is relatively new; only a decade ago, Downtown Dubai used to refer to the riverfront area of Deira, the historic quarter and the city’s only ‘old town center. You’ll find Downtown just to the east of Business Bay and covering an area of about two square kilometers. Deira is a marvelous part of the city and the only district where you can still see, smell, and hear the faint remnants of old Dubai. Not incidentally, this is also where you’ll find the most economical accommodation choices. Still conveniently close to all the main attractions, in Deira you’ll be within walking distance of the famous Gold and Spice souks and the old fish market. Unfortunately, this former financial district is set to receive a makeover which will no doubt alter much of its authenticity in coming years. The addition of swanky new hotels by Dubai Creek is already having an effect on the district’s atmosphere, yet spells good news for anyone who wants to experience this eclectic part of town yet enjoy it in great comfort. Home to the Palm Jumeirah resort island, as well as the enticing Jumeirah Mosque and arguably the most accessible beach in town, Jumeirah Beach, this district is a mixed bag of lollies when it comes to residents, attractions, and accommodation options. This is the most popular choice for foreigners and a district that spans over 24kms of coastline. 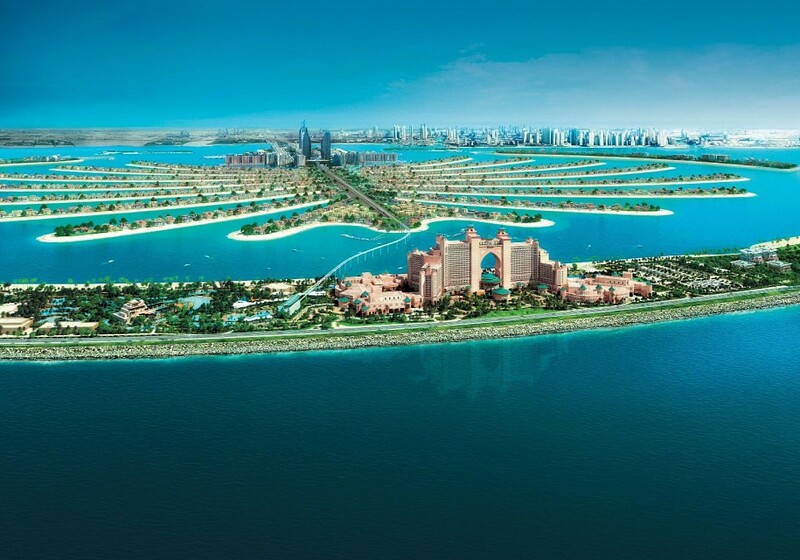 It starts east of Deira, where you’ll find the mosque, and continues south to the Palm Jumeirah. 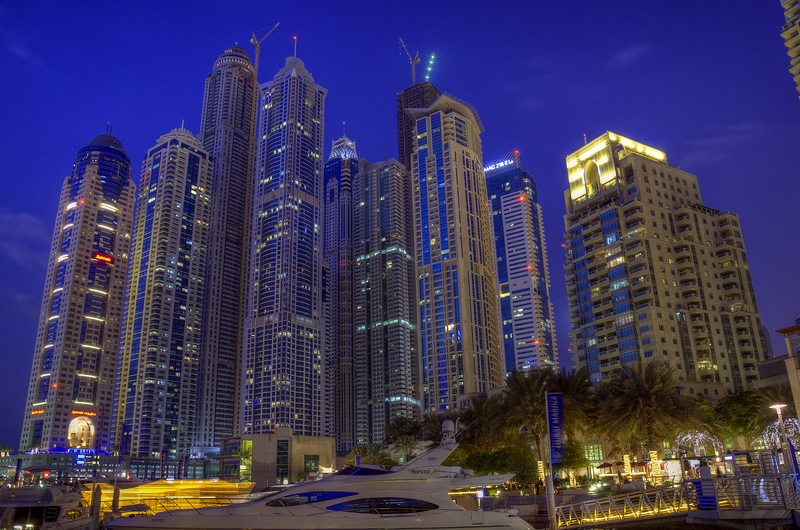 If you’re looking for the highest concentration of Western expats, Dubai Marina is where you’ll find them. 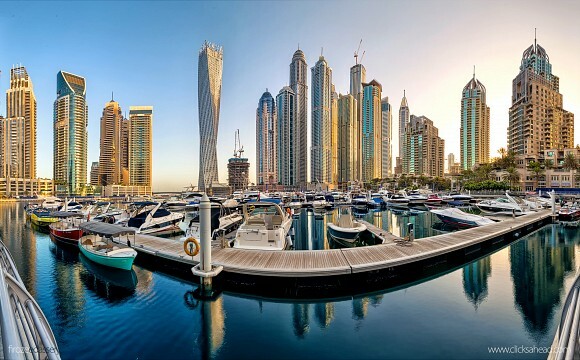 A lovely residential district offering a plethora of accommodation choices, Dubai Marina is just west of Palm Jumeirah, perhaps on the most western border of Dubai proper. 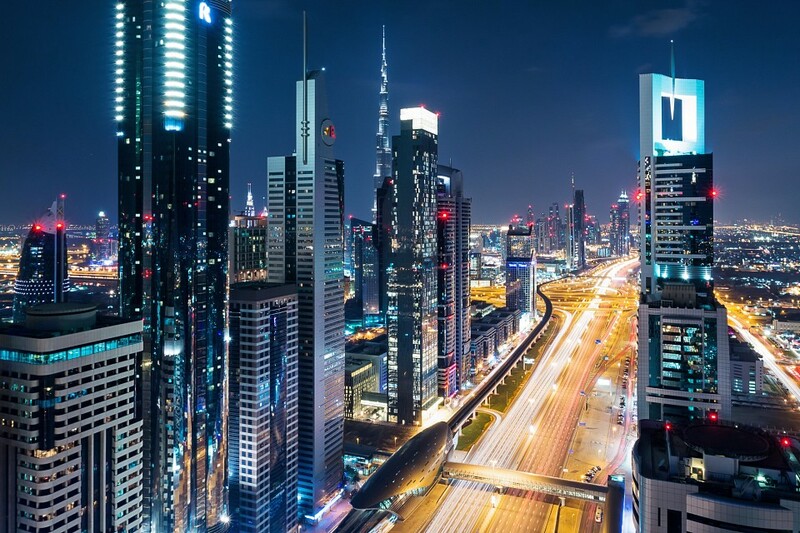 People living here revel in the quietness of the hood, which still offers a myriad of dining and entertainment options and, considering you’d need to hop on a taxi if going anywhere in Dubai, they mind not that it just takes an extra few minutes to reach Downtown. One of the city’s many Indian and Filipino hubs, but perhaps the most accessible, this tiny district is wedged between the Jumeirah beachfront and Downtown, and boasts a plethora of cool shops, cheap eateries, and lots of little bazaars selling everything under the hot, blazing sun. Everything in Dubai has been specifically designed to WOW visitors, so mouth-gaping sights are a dime a dozen. Following, are the very best. Where else are you going to go when in Dubai, if not the tallest building on the planet? In a city chock-full of skyscrapers, heading to the top of the highest one makes a lot of sense. 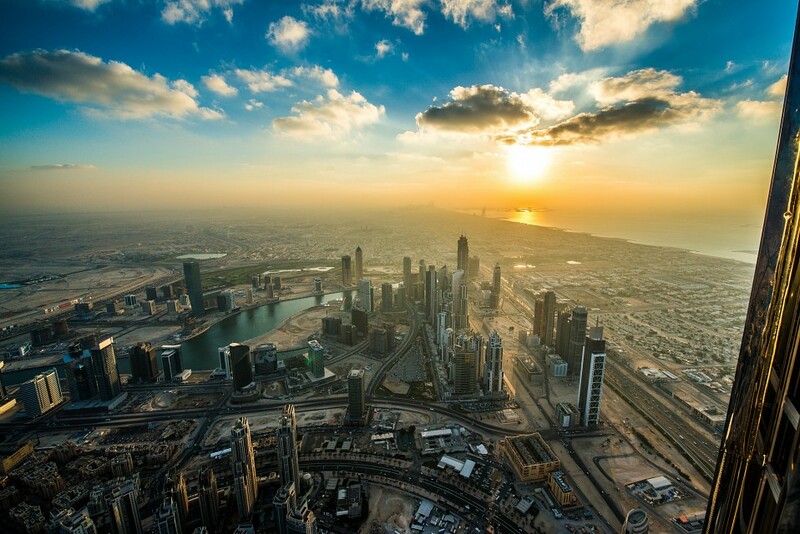 Only atop Burj Khalifa will you enjoy 360-degree and totally uninterrupted views of Dubai, the coastline, desert and, possibly Qatar and Iran as well. The amazing thing about the observation deck on the 124th floor is that it makes all the ‘largest, widest, biggest’ malls look so very minuscule. Plus, the fact that the observation deck is not even half-way up the skyscraper! Legend has it, that once upon a time in the desert of Dubai, nomads on camel back used to race each other across dunes and see who could do the best wheelies. The modern-day version, complete with dune buggies, is said to be much more fun. Spend a late afternoon and evening in the heart of the Dubai desert and get a taste of what Middle Eastern life was all about, many many moons ago. There is a plethora of agencies offering basically the same tour, which includes pick-up from your hotel, an hour or so of dune bashing, a camel ride and traditional dinner and belly dancing show in an ‘authentically set-up for tourist’ desert tent. Where the tours differ is mostly in the quality of food and entertainment at their respective camps, so do some research to avoid getting stuck with dodgy kebabs. Is it a touristy activity? Sure. Is it fun? You bet! There are many Dubai resorts which boast their own stretch of private beach, but unless you’re ready to part with some serious cash, your only option of a refreshing swim will probably be in your hotel’s swimming pool. 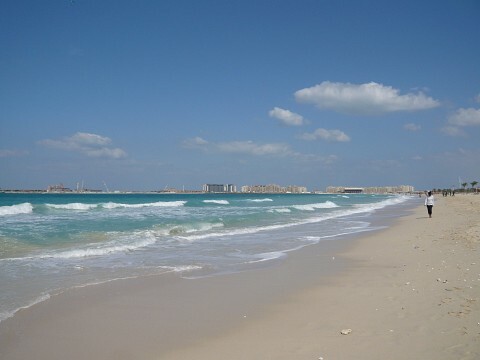 Luckily, Jumeirah beach and park is open to the foreign public and is a great place in which to spend a few hours or even an entire day. Along a 3km stretch of the seaside park you’ll find beach umbrellas and sun-loungers for rent, numerous food stalls and wonderful cold showers. The sea itself is tepid and doesn’t do much to cool you off, yet taking a frolic in the Arabian Gulf is a wonderful box-ticking experience. A phenomenal sound, light, water, and fire show, the Dubai Fountain is a fantastic attraction and found in the heart of the Burj Dubai Lake. Shows are on every half hour from 6 p0 feet onwards and each is timed to a song which lasts about 4-5 minutes. You may not be able to afford even a 5-minute stay in one of these 7-star hotel’s rooms, yet splurging on a pricey afternoon tea experience could be the next best thing. Go all out on a Sky Tea experience and have your scones and tea served on the highest floor of the hotel. The eye-watering views will come with an eye-watering price-tag, but for 620 AED, we’re told you’ll get a delectable afternoon tea after all. Bringing home a camel from Dubai may not be the most reasonable thing to do, yet at the Dubai Camel Market you can at least witness the trading of these amazing beasts close-up. There is a myriad of other animals found here as well, and the experience is quintessentially Arabic, which means very much non-touristy. As such, do dress conservatively and don’t get conned into patting or photographing a trader’s prized camel. Sellers here don’t see many Western faces and, when they do, they try to extort a few dollars out of them. Although this is arguably one of the most photogenic places to explore, leave your camera behind and let your eyes do the recording for posterity. Enjoy the market and the whole chaotic experience, but whatever you do, don’t get into a camel pen. Some hapless tourists have been locked up until a suitable ‘price’ had been agreed to. You’ll find the Camel Souk behind Bawadi Mall. The city of 101 mosques may seem like an ideal destination for those who wish to admire and absorb the atmosphere of an ancient mosque. 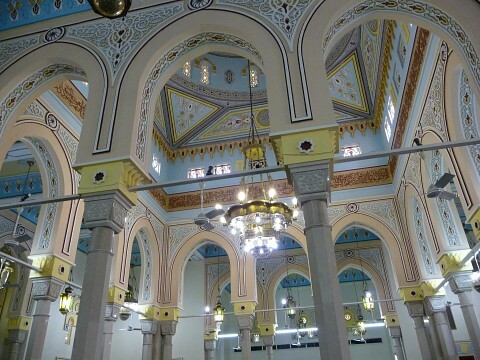 Yet in Dubai, most are off-limits to tourists, leaving Jumeirah Mosque as one of only a handful of which foreigners are free to explore.This is a truly stunning mosque, and an incredible showcase of striking Islamic architecture. It is by far one of the city’s most photographed buildings and, when visited at sunset, glows a crimson so red it’s bound to take your breath away. Guided tours are available a few days a week and an interesting Q&A session held afterwards. Highly recommended. It may seem hard to get a taste of local culture when visiting Dubai, yet the SMCCU does a fine job of trying to fill the gap. The non-profit, local NGO runs education tours for foreigners, with the aim to educate visitors and cultivate understanding of the wonderful Arabic culture and Islamic faith. You’ll be taken for a guided tour of a mosque by a local scholar, enjoy an extremely delectable traditional meal and participate in the sometime heated discussions about the role of polygamy, veiling, and other characteristics of the local culture. 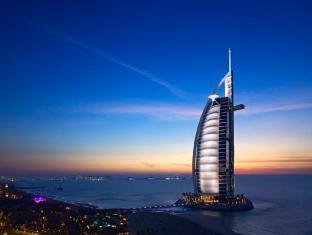 Dubai’s modernity has made the United Arab Emirates by far the most approachable Arab destination of all. Take advantage of this if you wish to gain a deeper insight into the workings of this most enigmatic culture and faith. The center is found northeast of the Dubai Museum, right on the Creek waterfront. If you’re interested in learning more about the history of this, and all other Emirates, then head to this interesting underground museum which boasts high-tech displays which replicate life in Dubai when the metropolis was nothing more than a struggling, pearl trading village. Seeing the transformation in Dubai, from then until now, is truly mind-boggling. The Dubai Museum is held within the grounds of the old Al Fahidi Fort, near the waterfront of Dubai Creek, directly opposite the Deira souks. 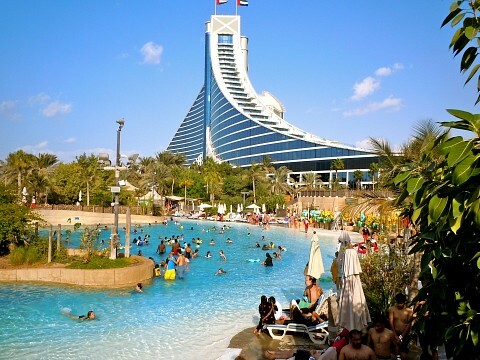 Aside Jumeirah Beach and Park, Wild Wadi Water Park is possibly the best outdoor family attractions in Dubai where the water, unlike the Arabian Gulf, is actually refreshing. The water park is loads of fun and has some pretty cool adrenalin-pumping rides for adults as well as plenty of fun for little kids too. A fantastic way to spend a day away from the malls and restaurants, Wild Wadi is the UAE’s only themed amusement park and centrally located just south of the public beach at Jumeirah. On the ground floor of the massive Dubai Mall is where you’ll find one of the world’s largest, suspended aquariums. Like many of Dubai’s attractions this is a ‘see it to believe it’ place, with the two-storey water tank, and inbuilt tunnel, making for an incredible sea life experience. At the risk of sounding repetitive, this is definitely an attraction not to be missed! Retail therapy is one of Dubai’s most popular endurance sports and in a city chock-full of sparkling, high-rise malls, heading out for a spot of shopping may be a daunting prospect. Where does one start? Right here! Unlike places like Singapore and Kuala Lumpur, Dubai’s not the classiest when it comes to shopping. Here, indulging is at the reach of everyone, rich and poor alike, and in Dubai you can either splurge big or spend little. The world’s shopping mecca really has something to offer everyone. The city’s bazaars are ideal for budget conscious travelers, and along with great value for money gear, they also offer a chaotic and bustling atmosphere. Sharpen your haggling skills in the Gold or Spice souks, and don’t forget to check out lesser known places like the Al Karama Market, which may seem like a junkyard at first, but reveals itself to be a goldmine of super-authentic fake designer gear, some of which is great and a few which are almost laughable. Behind closed doors you may also come across some genuine classics, which have no doubt fallen from the back of a camel. Ask no questions but bargain hard. Al Karama is just on the western side of Dubai Creek. 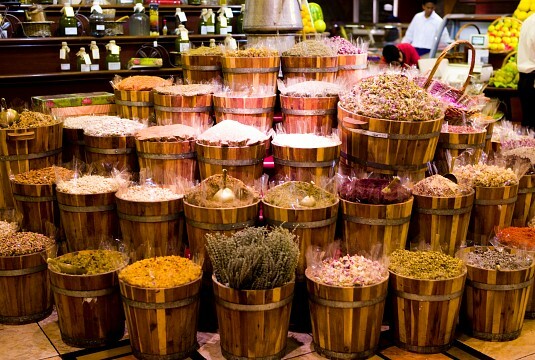 Whilst the Gold souk sells mainly gold, the Dubai Spice Souk is a much more comprehensive shopping mecca, selling everything from spices, to pashminas, hand-made leather sandals, wonderful home decorations, and more. But spices at great prices is what this is all about, and you could take home truckloads of pricey saffron and sumac at just a fraction of what you’d pay at home. Spices make extremely appreciated gifts. If you’re looking for a cute souvenir, search for black and white salt and pepper shakers called Sheik and Sheika; the former drawn as a turbaned, bearded man, the latter as a veiled woman. The area of Al Satwa is famous for its bazaars filled with incredible textiles, of silk, cotton, and linens. Head here for the best value-for-quality fabrics but do not buy anything until you’ve slashed the requested price by at least 50%. If you want to have a skirt, trousers or a kaftan made, ask your fabric seller for their preferred nearby tailor. Work is top-quality and turnaround time extremely short. This is a brand new replicated bazaar and is a lovely hybrid between grandiose mall and authentic souk. Prices are also along the halfway mark, yet here, you’re much more likely to find crafty souvenirs and unique artifacts. Insanely popular with tourists, this small(ish) bazaar boasts many eateries, great kid’s entertainment, and wonderful outdoor bars from where you can admire the awe-inspiring Burj Khalifa. This mall is a bit more on the expensive side, but has the added bonus of alcohol-licensed restaurants. For more art and craft, head to ARTE (Artisans of the Emirates) which grants a fantastic reprieve from the mass-produced gear found everywhere else. Here, you’ll see a rotating display of works from local artists, most of which are reasonably priced and make for exceptional gifts and souvenirs. 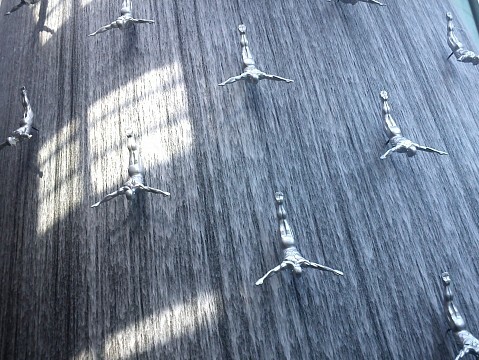 Even if you hate shopping malls, there’s no way you can visit Dubai and not step foot in one. These are, after all, what made the city so famous in the first place. Most return visitors will attest to the fact that, at the end of the day, all the 70-odd malls in Dubai sell pretty much the same sort of stuff. What differentiates them, are their unique additions. These are some of the very best. Such a simple name for such an opulent place; the Dubai Mall is the world’s largest shopping center and home to more than 1,200 shops. On your average year, the mall welcomes more visitors than New York City, which gives you a rough idea of the kind of crowds you’re likely to encounter. The underwater aquarium and extremely famous Olympic-size indoor skating rink are this mall’s superlative catches, although the ginormous SEGA World and in-house 5-star hotel also attract plenty of admirers. If you want to access the observation platform of Burj Khalifa, you’ll find it on the ground floor of Dubai Mall. If travelling with children, make sure you bring along one of those kiddie-leashes so detested in the West; in Dubai Mall, it’s almost a prime necessity. 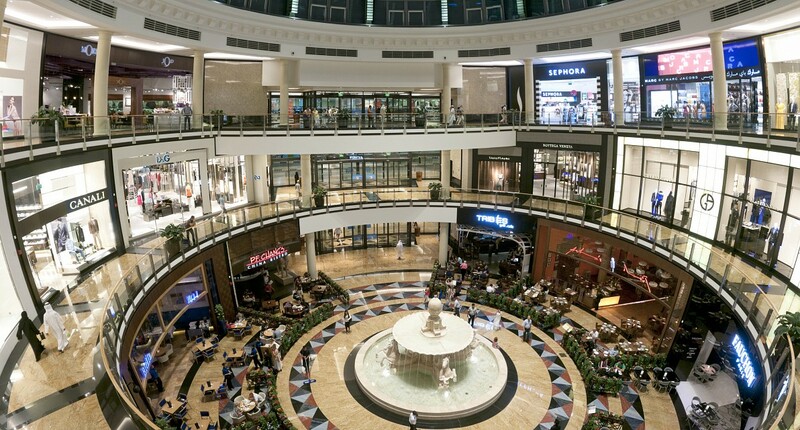 The Mall of the Emirates used to be Dubai’s largest mall until the above-mentioned mini-planet appeared on the scene, yet nowadays is still considered one of the best. Home to the most famous indoor skiing field on the planet, the Mall of the Emirates plays second fiddle to no-one. Here you can ski over 22,500 square meters of snowy fields, dine in one of almost 100 eateries, and shop at over 700 stores and entertain the kids at two mega-amusement parks; all in air-conditioned comfort. This is the world’s largest themed mall and aims to honor the most famous Arabian explorer in history. As a shopping destination, the Ibn Battuta Mall doesn’t rate too highly, yet when it comes to architectural design and decoration, it is one of the most stunning. Its not-so-central location and lack of real retail goodies also makes it one of the least-visited, which some may find rather appealing. Shopping areas are themed according to world regions which Battuta visited, including India, Tunisia; China, Egypt; Persia, and Andalusia. Mosaic-filled domes, intricately carved pillars, and splendid stained glass are just some of the wonderful features of this mall. 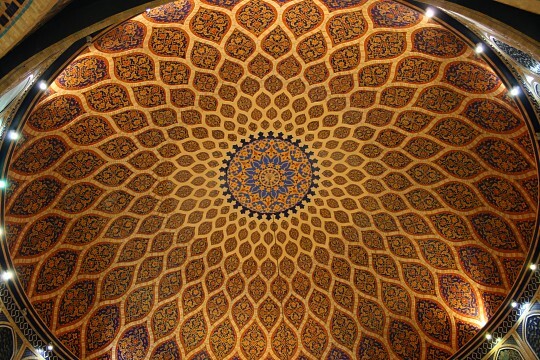 The mall also displays a permanent collection of Islamic contributions to the sciences and astronomy. One of Dubai’s oldest malls is probably the most sensible, down-to-earth, and convenient, and a place where you’ll find actual bargains of designer gear. A preferred option for locals rather than tourists, Deira Mall is a refreshing change from the rest. One of the smallest malls in Dubai, this much celebrated spot is home to the city’s only IKEA store, for which locals go nuts. The mall is underwhelming when compared to the more opulent and newer choices, but perhaps this is precisely the appeal. A great every-dayer, the Dubai Marina Mall is revered by expat Dubai-siders who love the tranquility of the place and its central location. It’s actually a stunner of a mall but its most prized asset is the open-air terrace which grants breathtaking views of the marina. Eating out in Dubai can be fraught with as much anxiety as shopping, with the city being home to an unimaginable array of incredible gastronomic experiences. From the fancy to the shabby, and all that is cooked in between, the gastronomic options in this city are near infinite. From the $ 1,000 USD Bloomsbury Golden Phoneix Cupcake to the $ 1.00 USD kebab found everywhere, you’d have to go to much effort to ever be hungry in Dubai. Even shopping mall food courts are insanely comprehensive and offer an incredible array of local, exotic, and international food options. Here are a couple of unique eating experiences which are worth their weight in gold. Friday is the first day of the Islamic weekend, and in Dubai this is a much celebrated event. Most hotels and resorts in town hold extravagant all-you-can-eat buffets, the likes of which you may never have seen before. At Al Qasr resort in Jumeirah, this comprises over 40 international food banquets, spread out over the entire ground floor of the resort. You need a map to navigate it all and about $ 100 USD to indulge in unlimited food and drinks over three hours. Get ready. Set. Go! For that extra special treat, book a fine-dining experience with the guys at Platinum Heritage who put on the most impressive desert tent spread in town. Their dinner under the stars experience may not be cheap, but it’s bound to be one of the most memorable nights of your life. You can also book an overnight safari and breakfast with a local Bedouin. Arabic coffee, home-made food and aromatic shishas are just the entree. 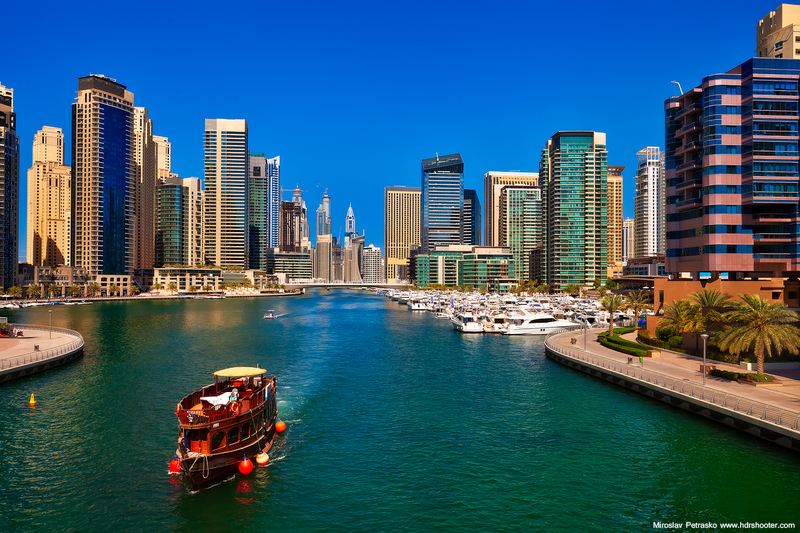 The Dubai Creek can easily be considered the foundation by which all of Dubai was built. Nowadays, as it seems relegated to take a back seat to more momentous landmarks, it pays to take a moment to explore and enjoy this lovely artery of desert life. Instead of just rushing across it on your way to a souk, why not enjoy a relaxing private dinner sailing trip aboard a tradition dhow? Bateaux Dubai offers fantastic dinner cruises, starting from as little as $ 75 USD . Mezze is to Arabins what antipasti are to Italians, a wonderful dining options ideal for those times when you want to indulge in numerous treats all in one go. Dubai is the mezze capital, with the platters of deliciousness on offer in most restaurants, international and local alike. The wonderful thing about mezze is that it’s meant to bring friends closer together by having them share a huge platter of various hot and cold treats. On a mezze platter you’ll usually find hummus, babaganoush, fattet laban, and wonderfully refreshing fattoush salad, and extremely delectable kibbeh beef balls. 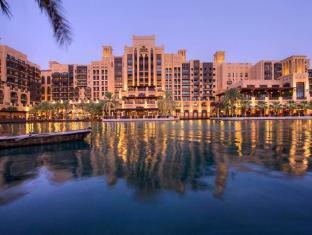 A wide range of accommodation can make your Dubai visit as cheap or expensive as you’d like it to be. Although most hotels within a specific range tend to be located around the central area, nowadays you’re likely to find an array of both budget and luxe abodes in every part of town. Dubai International Airport is one of the world’s busiest hubs and an ideal West-meet-East halfway point between Europe and Australasia . 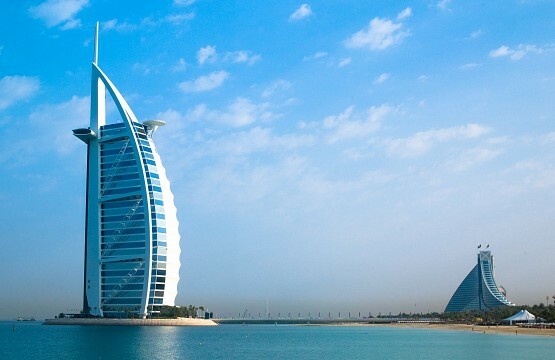 A plethora of airlines servicing the Emirate make for great flight deals at any time of year. 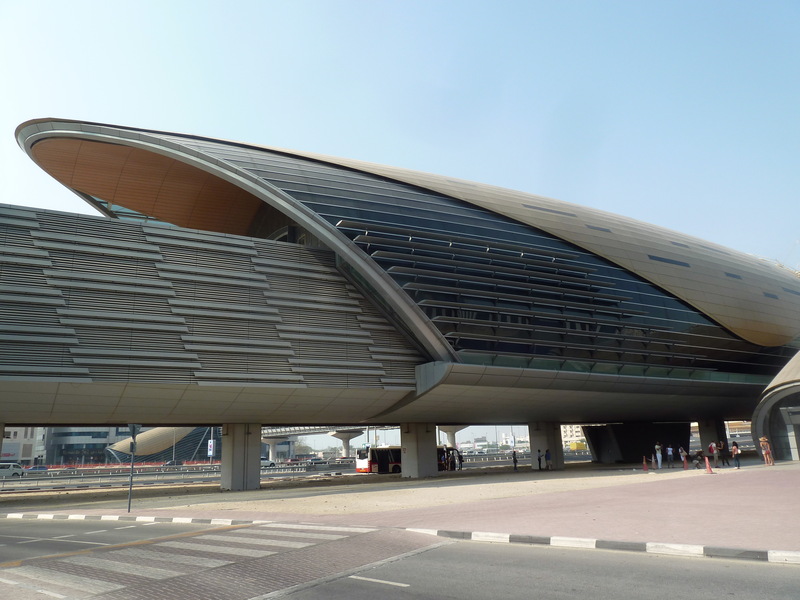 Dubai’s transport infrastructure is top notch, with the city hosting a great metro System which is still being improved nowadays. For tourist, however, the easiest way to get to and from is via metered taxi, which are plentiful, safe, and rather cheap. Local abras are a cheap and fun way to cross between the shores of Dubai Creek, and a single ride costs merely $ 0.20 USD . Dubai is famously said to enjoy only two seasons: hot and scorching. The period between November are March are the best months to visit, which is when the city enjoys its coolest temps of the year. Mind you, in Dubai 86 °F is considered cool. This is when Dubai is at its best and when just ten minutes lying in the sun on Jumeriah Beach will not result in third-degree burns. Travel in July when the temperature in the shade hits 40 degrees and humidity 99% and you’ll be bound to the blissfully air-conditioned indoor spaces. Fortunately, Dubai has plenty of those. The biggest trouble you’ll ever face in Dubai will probably be due to you forgetting that, in fact, this is a deeply religious and conservative Muslim country. It certainly doesn’t look like one at first glance yet remembering this rather major detail will go a long way into ensuring you don’t inadvertently break any rules. PDAs are a most definite no-no in Dubai, and neither is drinking in public places or dressing provocatively. The problem is that you are allowed all three behind the boundaries of a private resort, so many have the impression that they are socially acceptable things to do. They’re not. What you, as a western tourist, are allowed to do indoors is not the same as you’ll be allowed to do outdoors. Do keep in mind that even in a 5-star resort’s private beach you will be frowned upon if wearing an itzy-bitzy bikini, so leave those at home and pack a bathing suit which actually covers both bum cheeks. Having a boozy night and popping down to Jumeirah Beach for a snog with a new friend will see you flogged (literally), fined, and deported if caught. Likewise with drugs, the local authorities don’t muck about. If they find you with a joint, you may well face the firing squad. 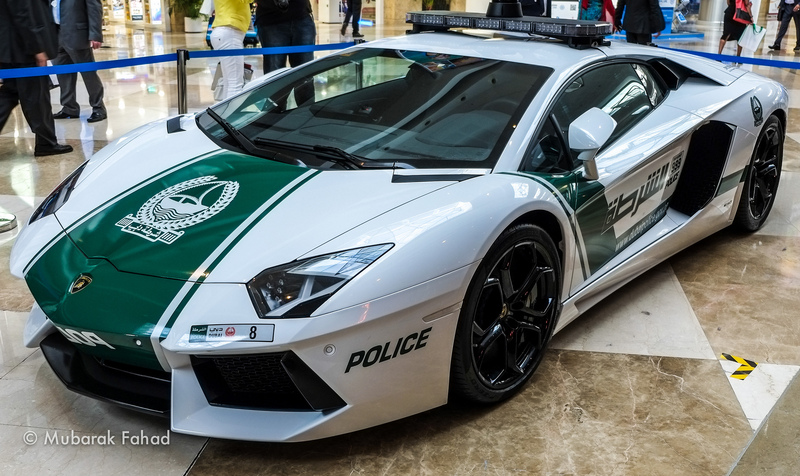 These strict laws ensure that Dubai is actually quite a safe city to live and visit. Play by the rules and you’ll be just fine.